Just as Chennai and its suburbs are recovering from incessant spell of rains, I am on my way to Puducherry for an extended weekend. Ready to precipitate anytime, dark grey clouds follow me as I drive south of Chennai along the Coromandel Coast on the East Coast Road (ECR) to reach the heritage town of Puducherry. 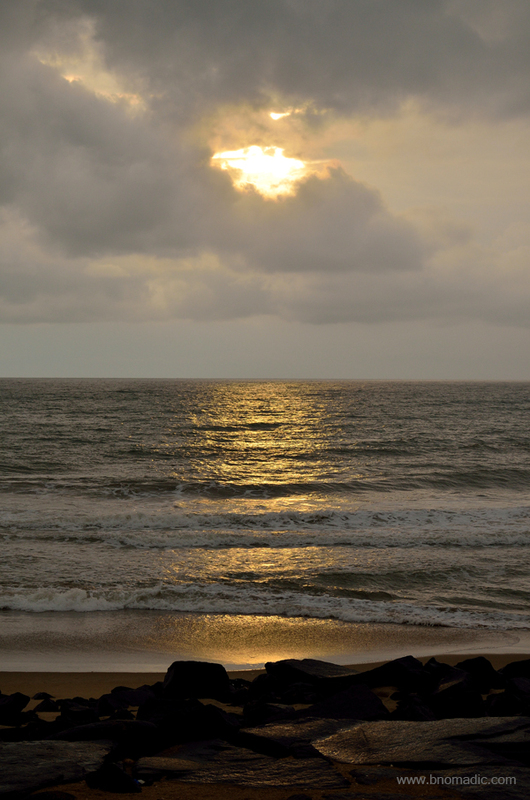 The day is about to end as I reach my pre-booked accommodation at the coastal town that was once French India. 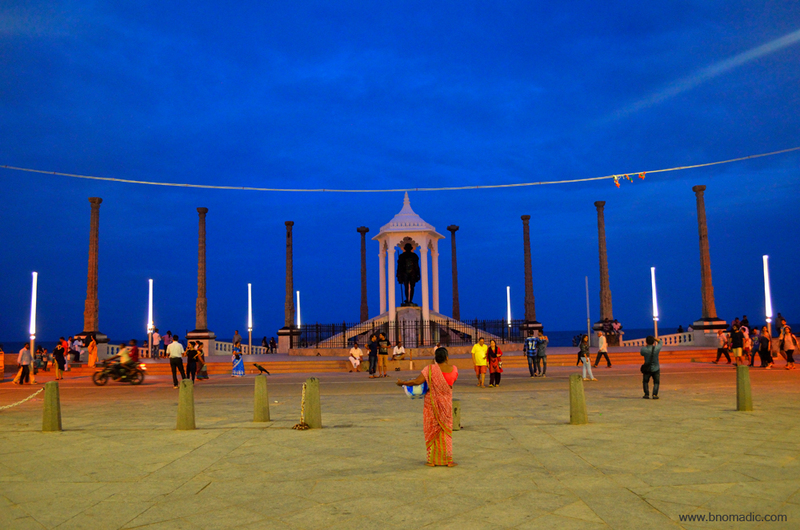 Even though, this is going to be my first visit to Puducherry, the allure of colonial era still retained by this town on the east coast of India has been stirring my imagination from much earlier. 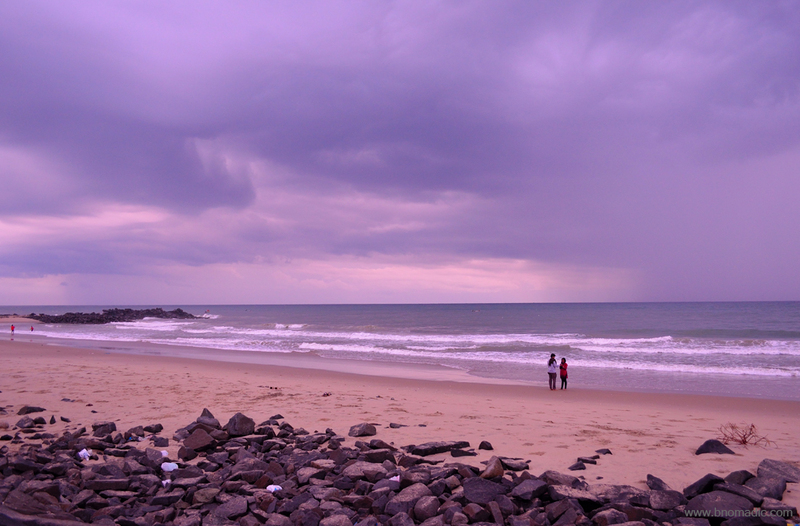 Not many places in India can cast as magnetic a spell on you; especially by sheer virtue of not only their geographical location or colonial antecedents, as this indistinctly populated, multicultural town located on a cyclone-ravaged coast of south India. Having polished off a sumptuous evening meal at the popular South Indian restaurant Surguru, located just next to the multi-storeyed hotel where I am staying, I retire early, exhausted. 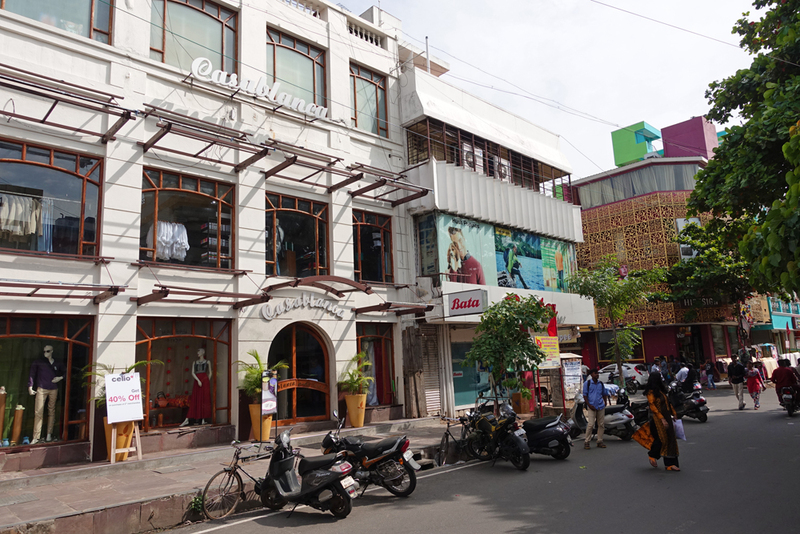 I wish to devote the next two days in exploring the lanes and streets of the pleasantly peaceful and harmonious Pondy. 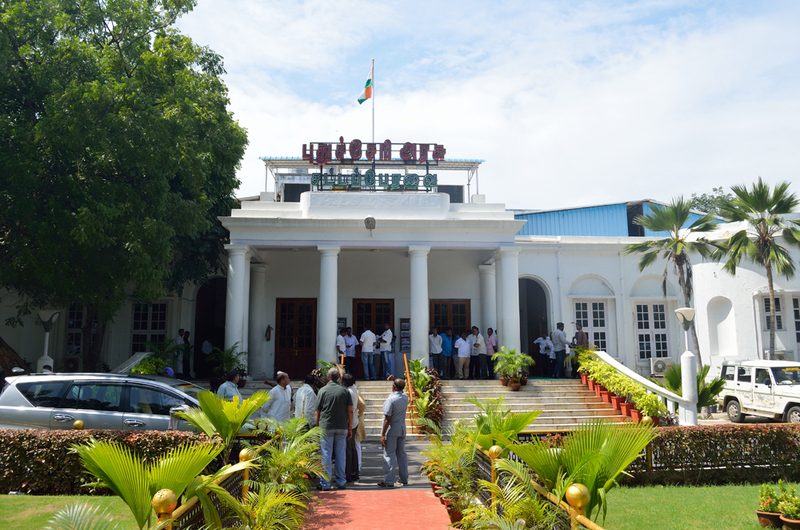 In spite of the linguistic overabundance at Puducherry, home to natives from 55 different language speaking regions and that Tamil, Telugu, Malayalam, French and English are the five official languages of this Union Territory, there exists absolute cordiality. 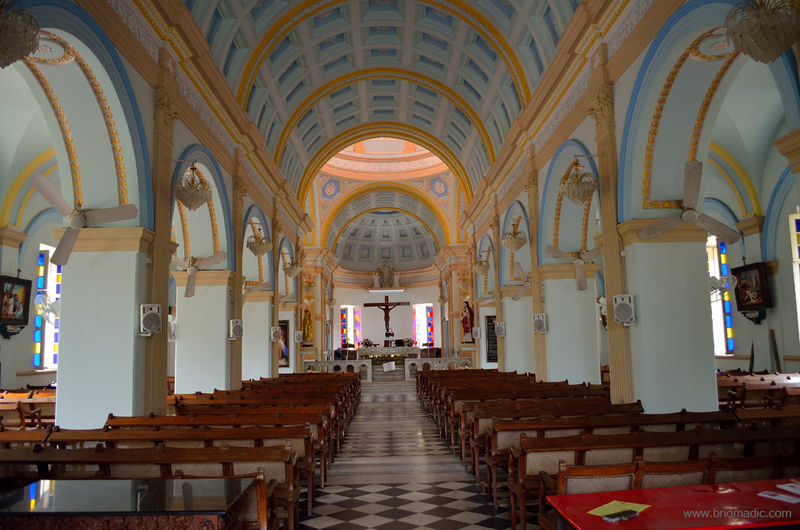 Almost all streets of the town are dotted with precincts of a temple or a colourful church or a mosque. 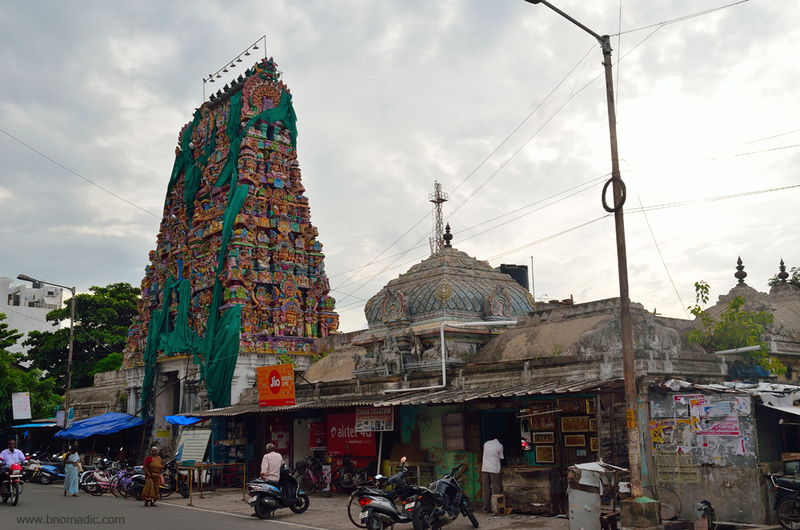 Many temples in this heritage city are multiple centuries old even as a few churches date back to the end of the seventeenth century. 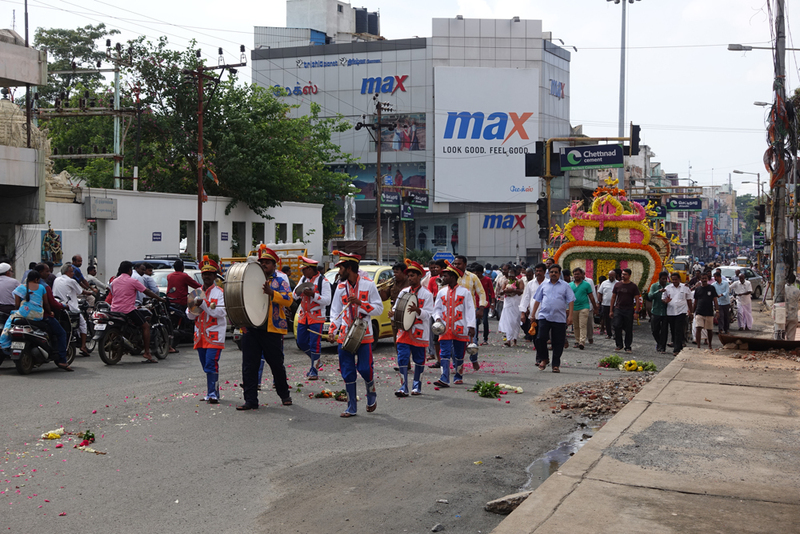 Irrespective of their origin or religion, people from all walks of life join the conversations and festivals which are recurring all through the year. 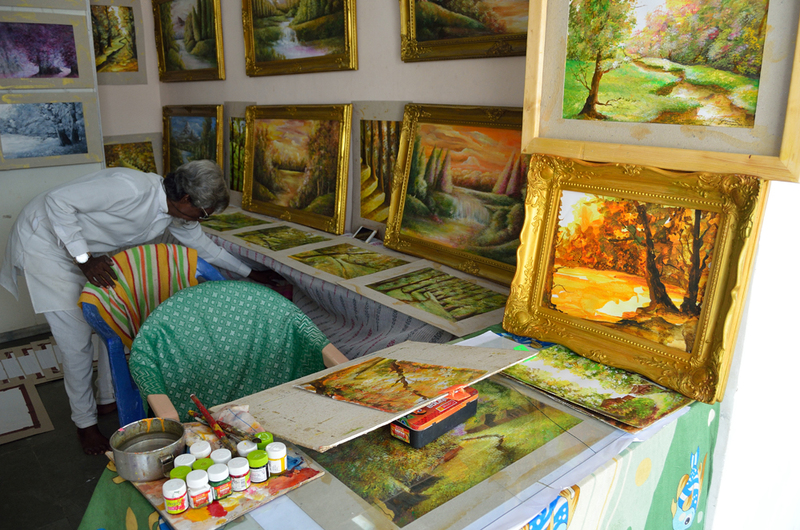 For reasons like these, the town has been growing into a repository of art as well as culture. 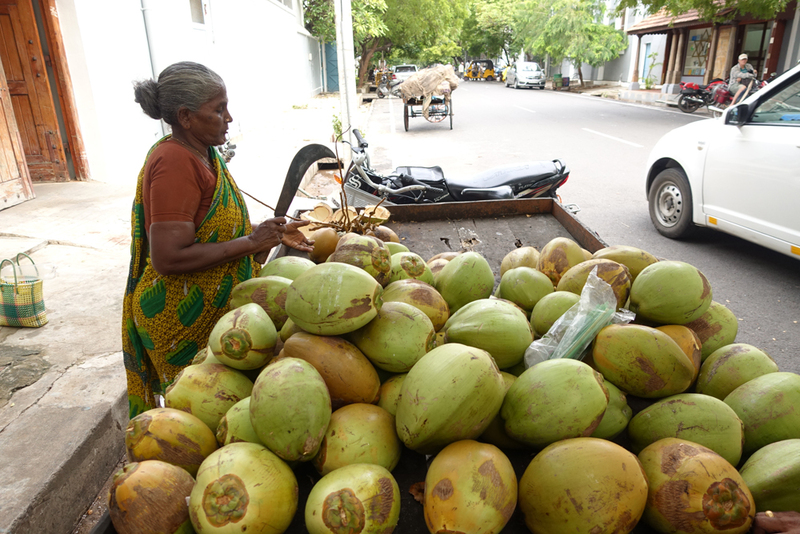 Next morning, I pick up a city map from the hotel lobby and set out for a daylong excursion through the streets of oval-shaped Puducherry. 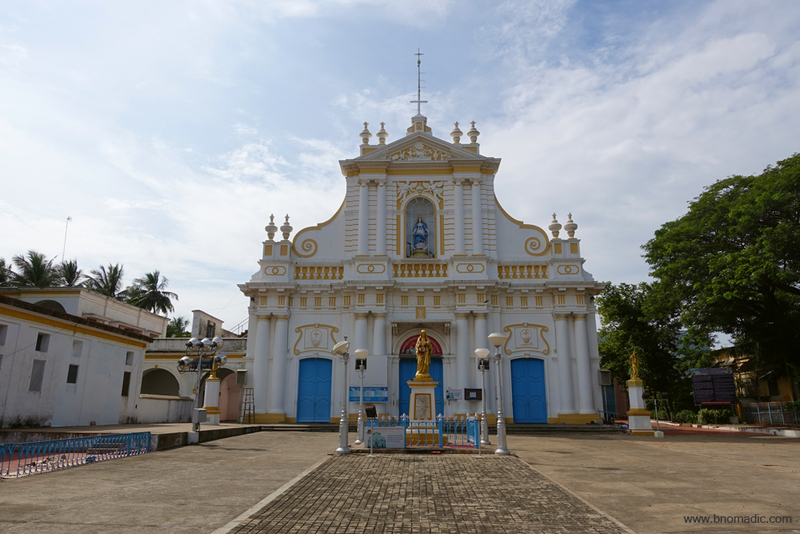 When exploring the spirit of a city like Puducherry, it becomes all the more important to take a walk through the main streets of the town including the olden part and closely observe its architectural traditions. Over the course of next two days, I clock more than 20km of walking distance. 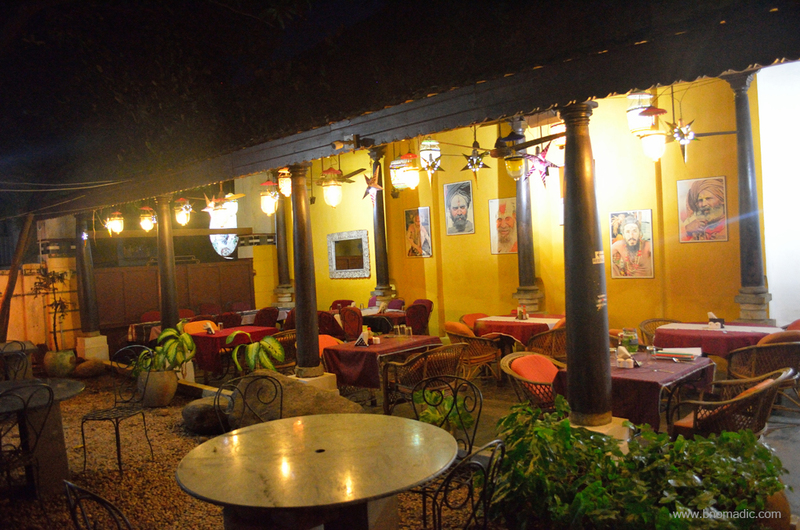 The sunflower-coloured streetscapes of the town indeed have a unique appeal that enthrals the travellers. Even the numbering of houses is a peculiarity here; with odd numbers on the one side and even numbers on the opposite side, I face no issues in reaching the lesser frequented heritage destinations. 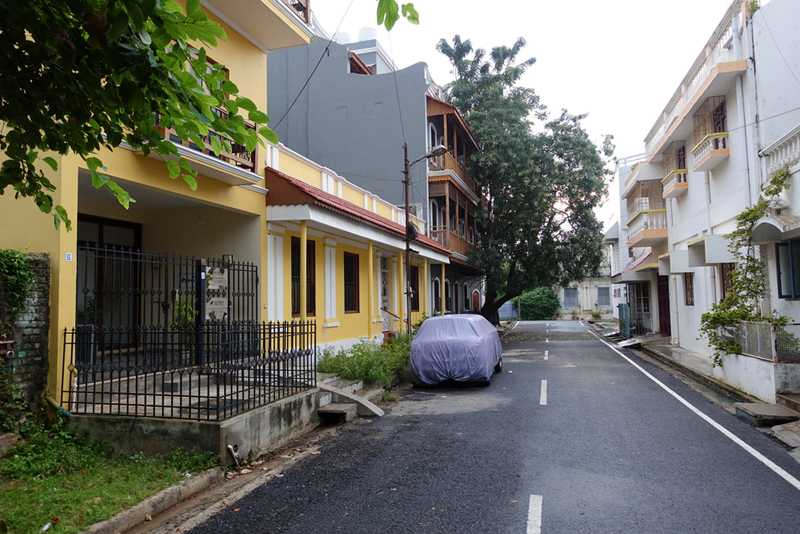 The prevailing architecture of Pondy town is an ensemble of French and Tamil houses. Intersected by a storm water canal, the town is bisected into French and Tamil quarters. 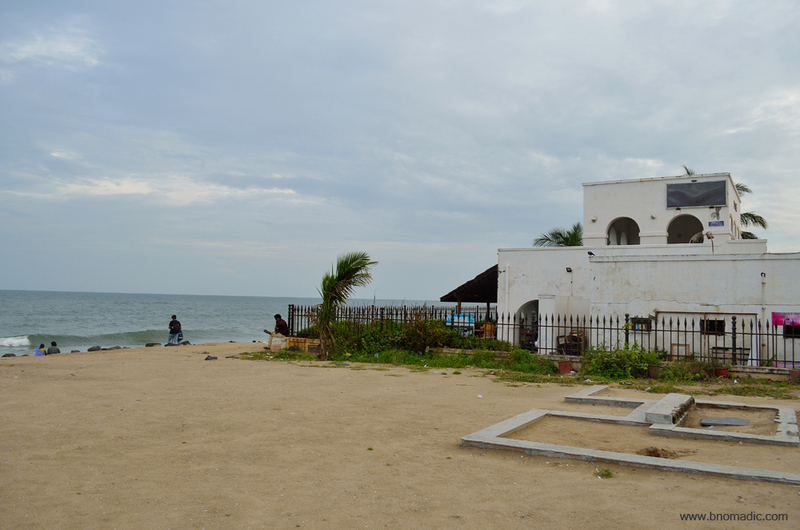 Facing the sea, the French quarter, earlier called the White Town, has structures in the European classical style; whereas the buildings in the Tamil quarter, called the Black Town, are in the vernacular style of Tamil Nadu. 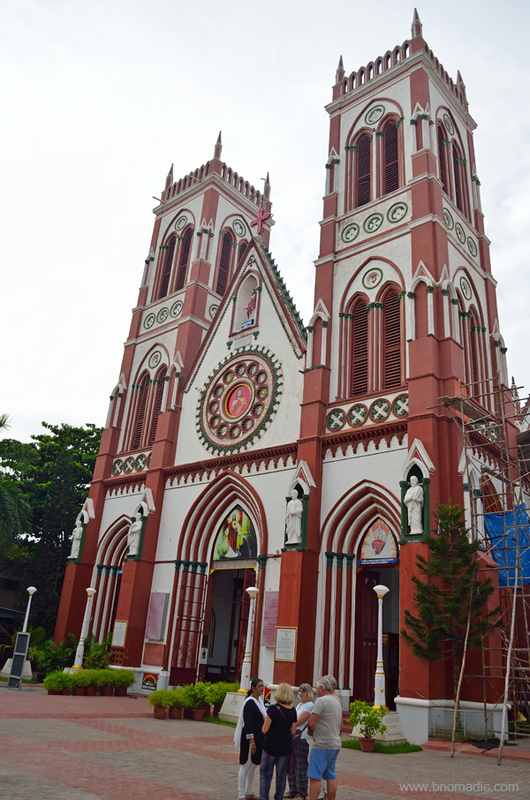 Influenced by each other, today many structures – especially the newer ones – in both parts of the town are a harmonious blend of European and Tamil architectural patterns. 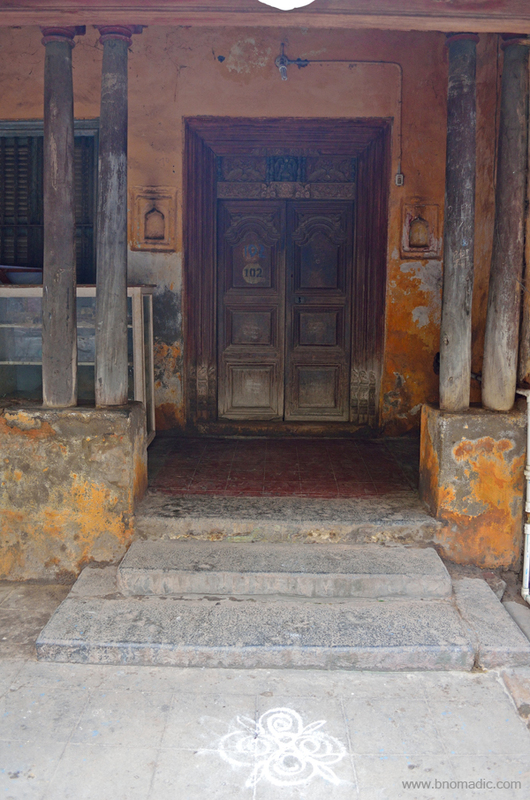 A few NGOs are engaged in restoring the traditional houses, especially the Tamil ones even as the olden part of Pondy facing onto the Bay of Bengal retains much of its traditional French character. 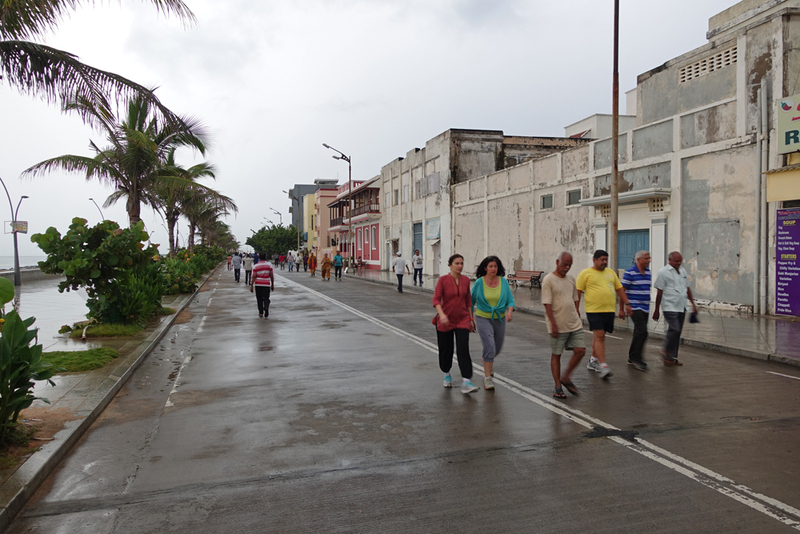 The 1.5km long chief promenade of the town, Goubert Avenue runs parallel to the sea alongside the French section. 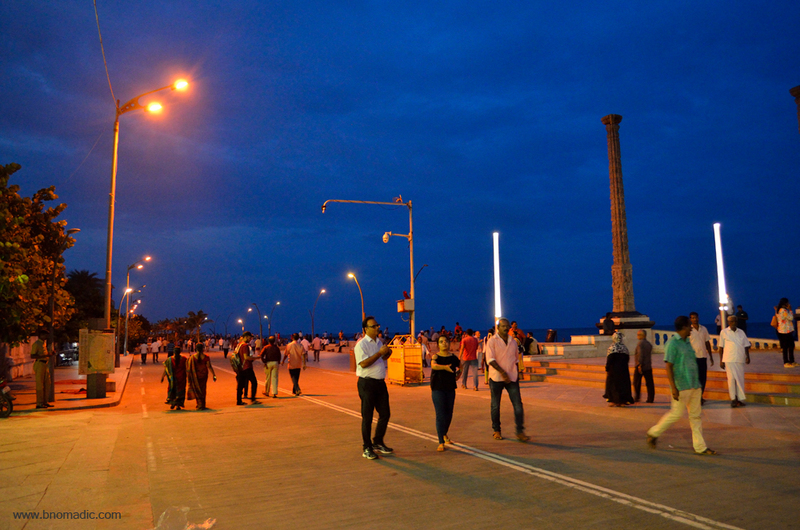 The promenade beach in the evening; a great place to relax or take a stroll at almost any time of the day. 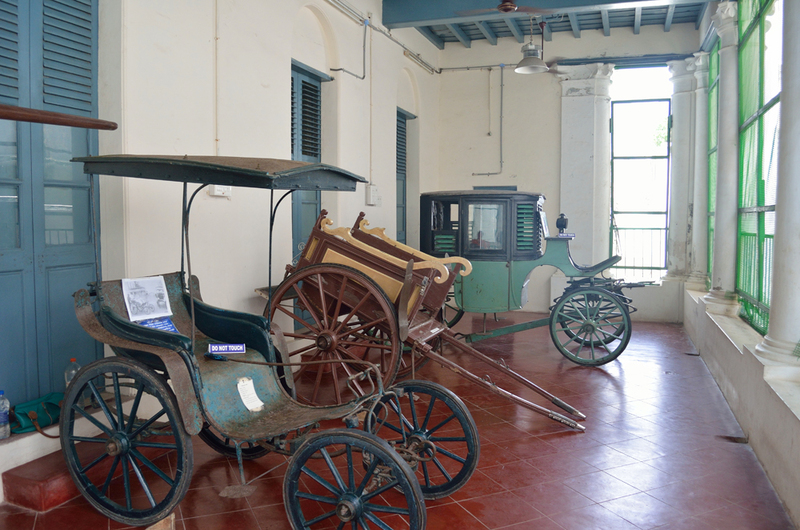 In order to try and understand the evolution of streets and the important landmarks of Pondy, it becomes paramount to have some basic knowledge about the history of the town. An employee of the Legislative Assembly of Puducherry, Balaji, who is also associated with INTACH as a volunteer, is my associate and guide for the day. Initially, it sounds a little boring but as we proceed on the streets, making mental note of the landmarks we come across, curiosity increases manifolds. 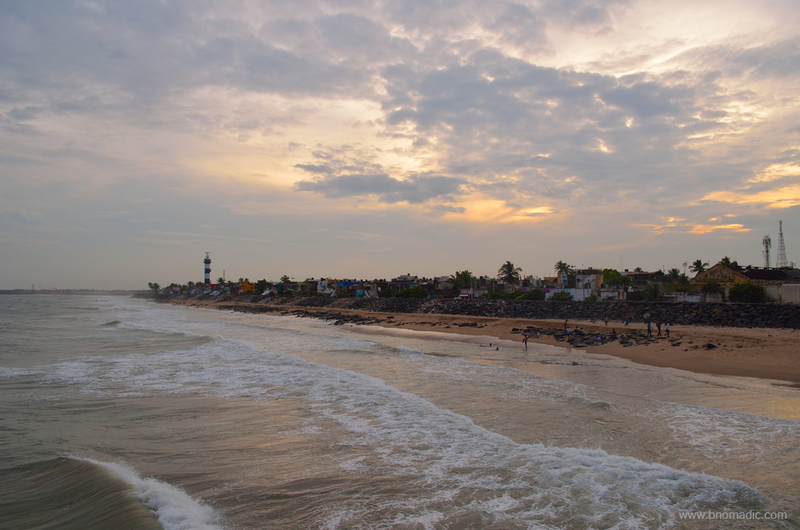 The town was previously called Pondicherry, the French interpretation of the original Tamil word Puducherry, which means a new village. 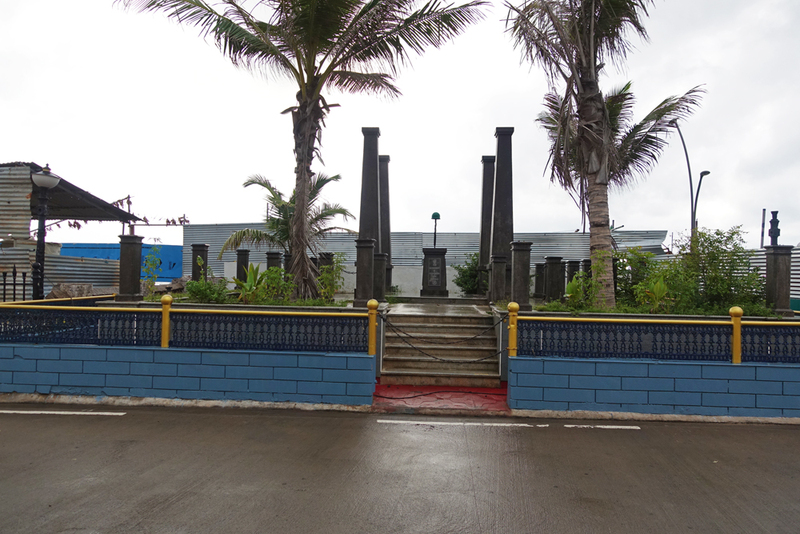 Just a few kilometres from the town is the historical site of Arikamedu, where proof of trade with Romans that flourished in the first century exists. 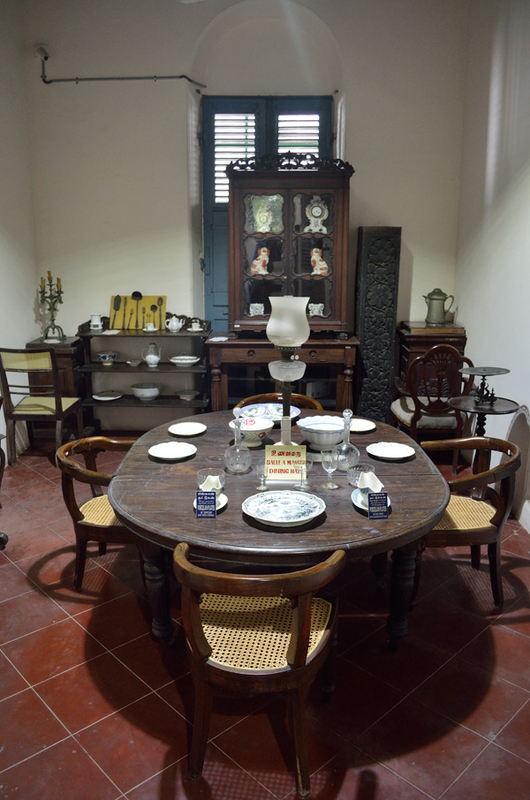 During those days, the trade included dyed textiles, pottery and semi-precious stones, many of which are on display at the Pondicherry Museum. 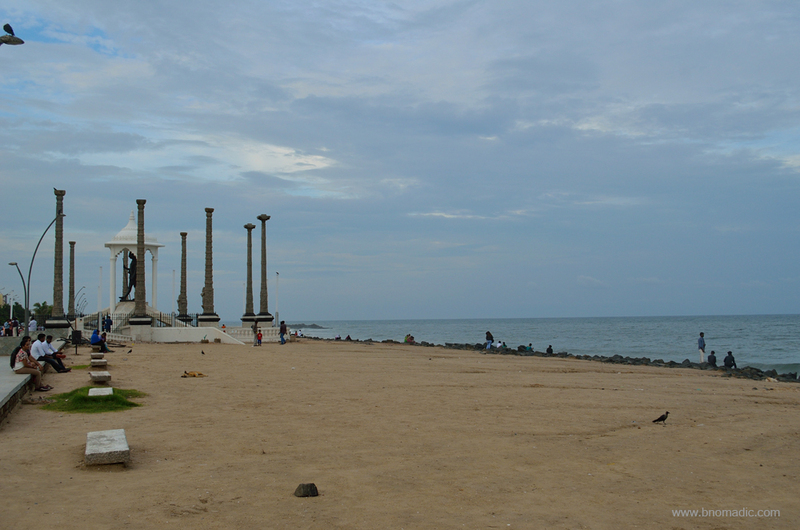 Centuries later, Pondy became a part of the Empires of Pallavas, the Cholas and the Pandyas till fourteenth century; after which it came under the Vijayanagar Empire, followed by the Islamic rule. In sixteenth and seventeenth centuries, the region was occupied by the Portuguese, the Dutch and the Danes for the purpose of setting up of textile trade. The flourishing trade then attracted the French, who secured land for a trading post in 1674 from Ali Adil Shah II, ruler of Bijapur, who at the time controlled this part of Southern India. 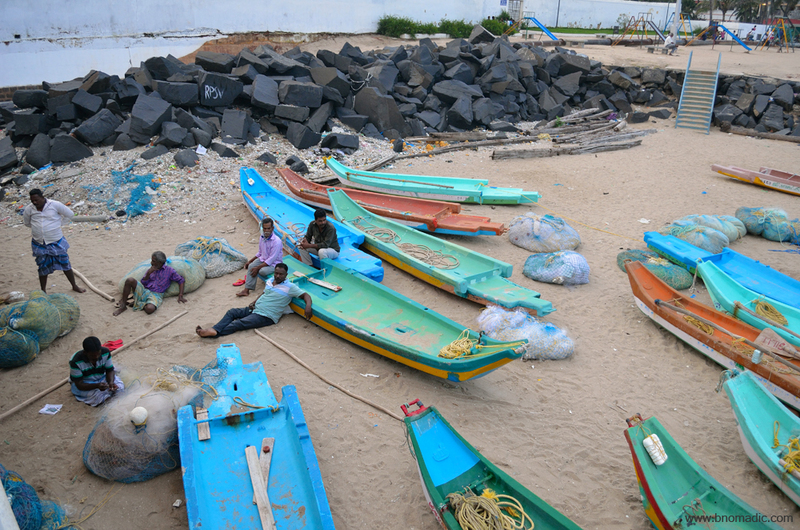 Pondy was then again occupied by the Dutch in 1693 after which it subsequently changed hands between the British and French no less than nine times in the course of the eighteenth century. 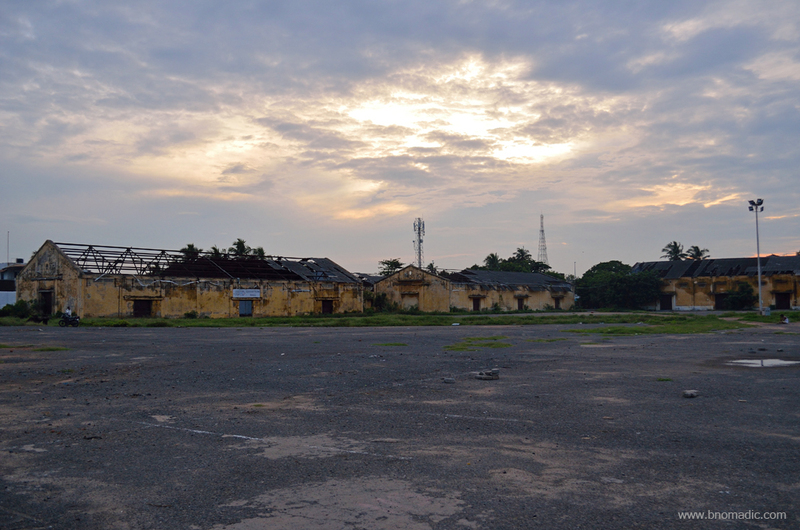 The removal of fortifications as the British razed down many of Pondy’s finest buildings in 1761, led to flattened ramparts that form the boulevards of Puducherry today. During the French regime, which got established after The Treaty of Paris, the trading post grew into a prominent fortified town and an important port. 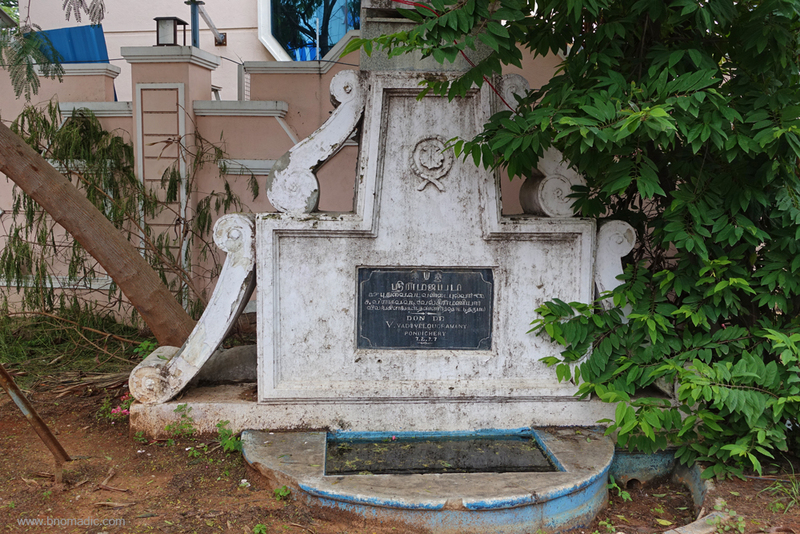 By the end of eighteenth century, much of the old town of Pondicherry, as we know it today, had been laid out and rebuilt on its former foundations under the planning of Jean Law. 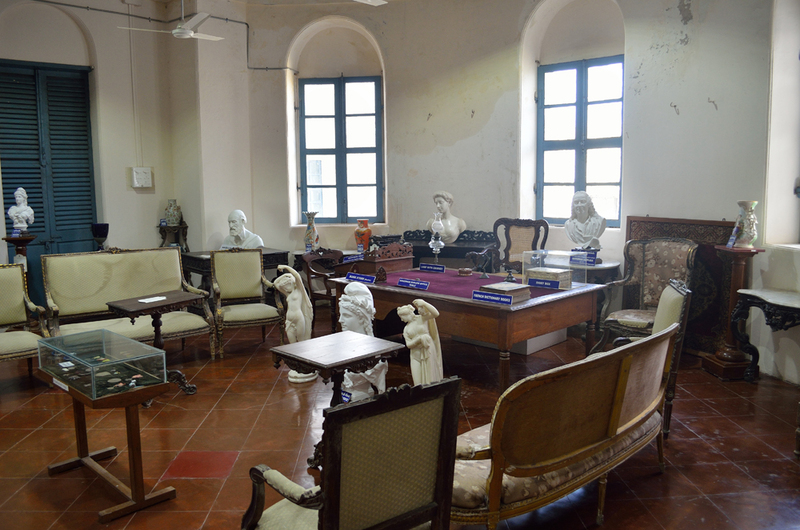 The foyer of the Pondicherry Museum, which is located in an erstwhile Law Building. 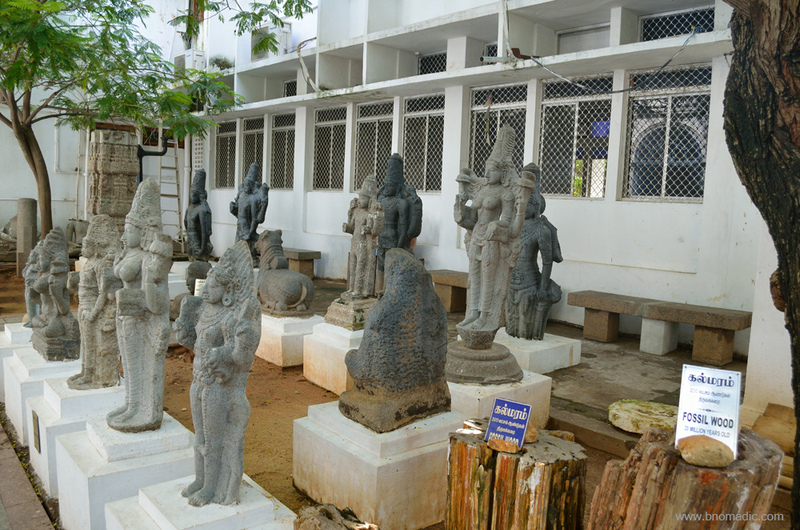 The museum has a collection of rare bronze and stone sculptures from the Pallava and Chola dynasties as well as excavations from Arikamedu. All the important streets from the Black Town lead to the Goubert Avenue, the main promenade through the White Town. A 284m long jetty, now abandoned, marks the southern end of the promenade. Now shifted elsewhere, a distillery earlier marked the northern tip of the promenade which is lined with flowery-coloured edifices and colonnaded balconies of the French quarter. 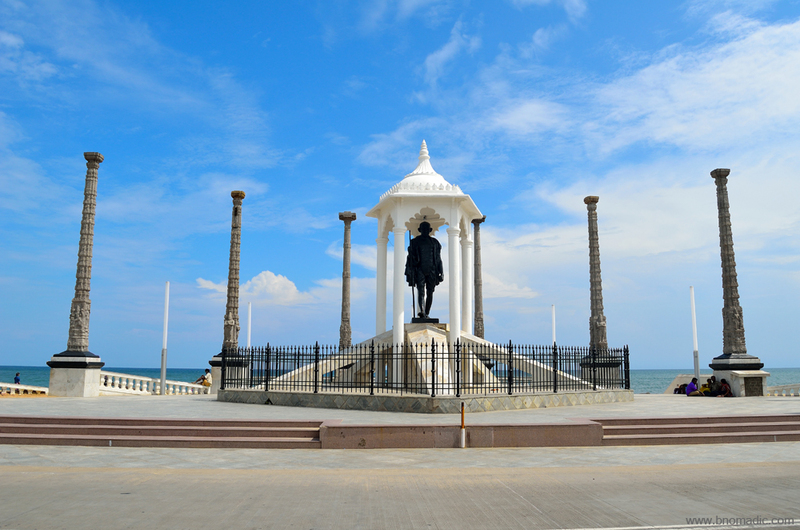 Midway along a broad Marina – the Goubert Avenue – running beside the ocean, stands the 4.25 m tall statue of Mahatma Gandhi which is arced by lofty monolithic granite pillars that are more than 11m high. 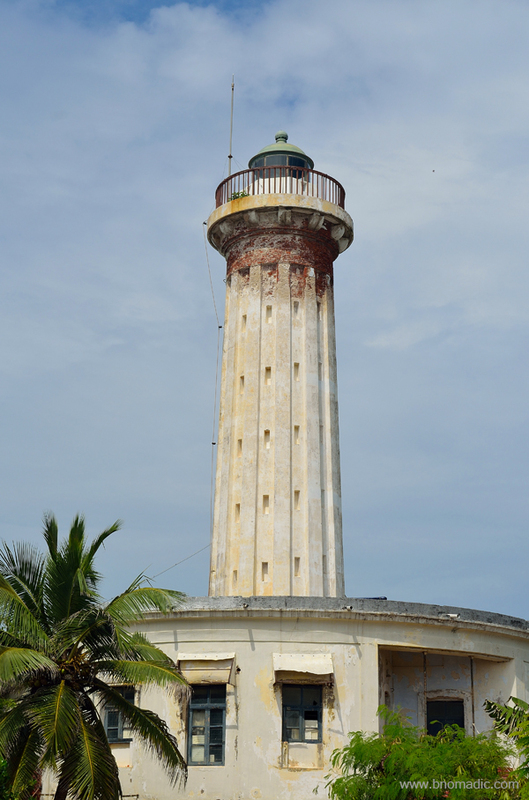 Built in 1836, the 27m-high Lighthouse, which is now abandoned, stands nearby. 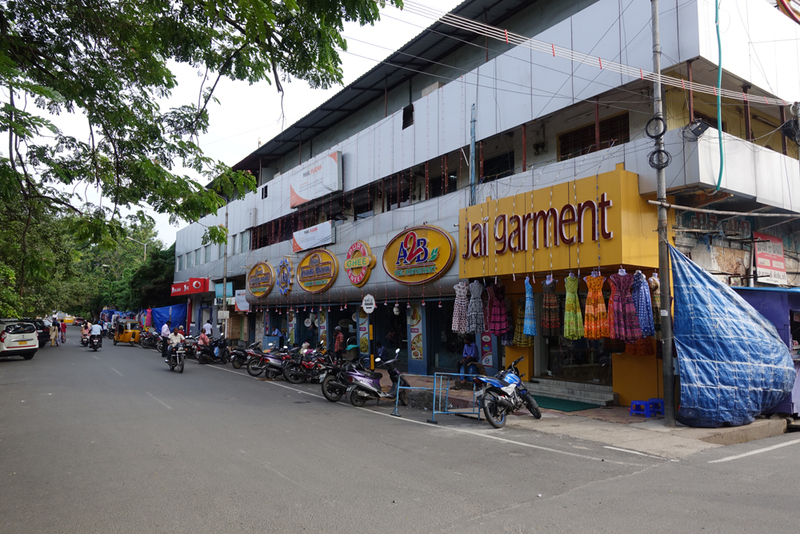 Balaji tells me that the road or streets are called Rue in French and Salai in Tamil; and most of the streets were initially named after French generals or commanders. 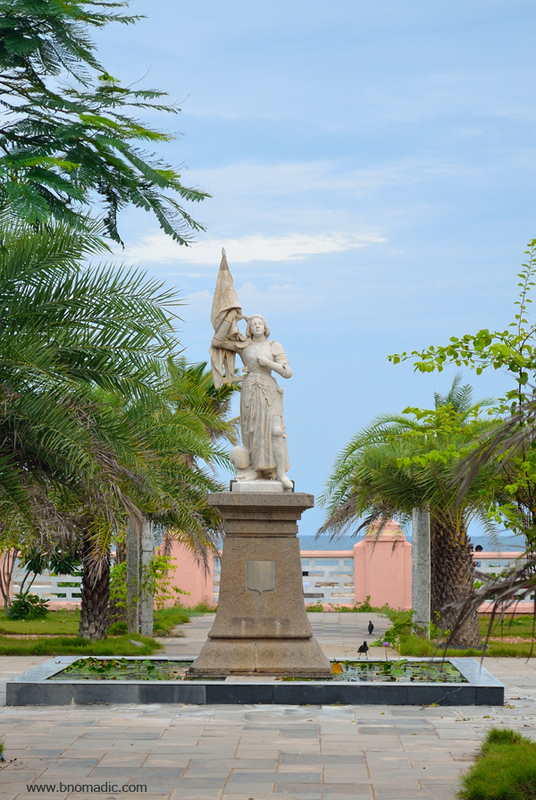 Facing the waves of the Bay of Bengal, the debris of the Town Hall, once known as Hotel de Ville and Mairie, lies scattered just next to the war memorial constructed by the French to commemorate the Pondy soldiers who died in the First World War. 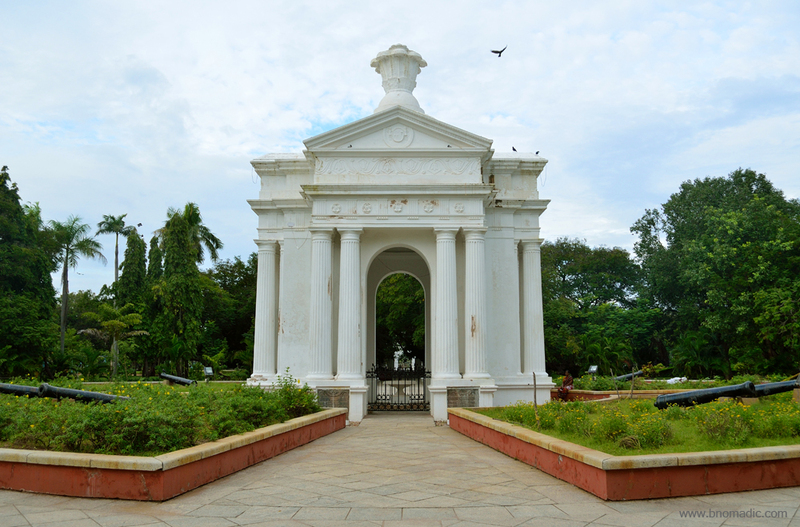 A favourite haunt of couples, the shady Government Park that has the famous Pondy memorial, whose pedimented facades are crowned by an urn, lies just behind. 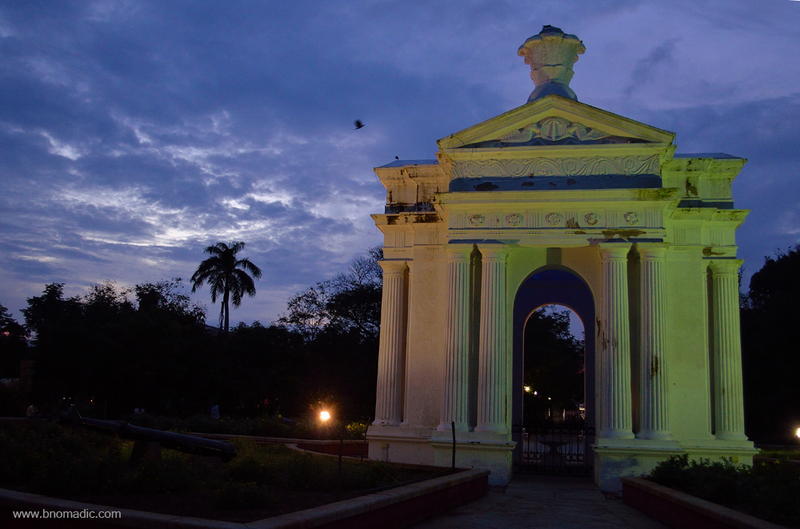 Along with this memorial which many consider an amusing surprise, a few columns that were brought from Gingee to Puducherry after the capture of its Fort in 1751 add colours to the Park. Being one of the most photographed landmarks, the monument is a revelation for it is built in commemoration of a harlot, whose charity had made the direct supply of water to the town possible. 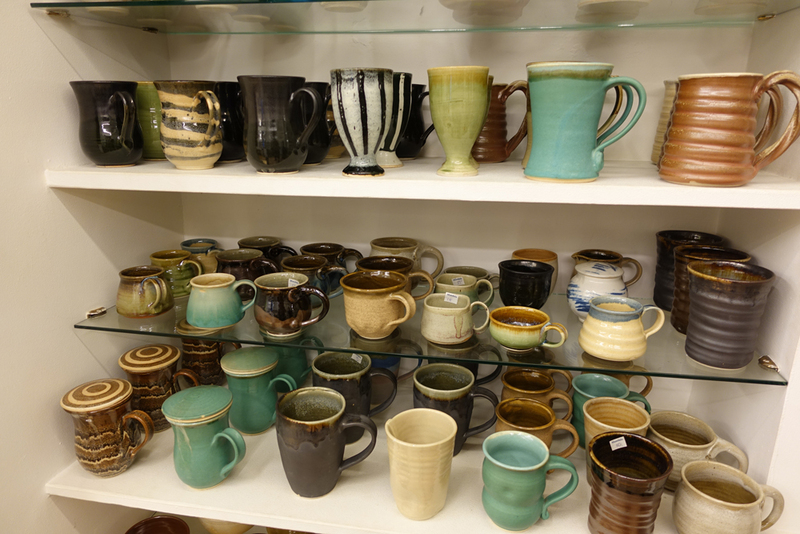 The good thing is that most of the landmarks of the town are located almost adjacent to each other just as the numerous eateries, bakeries and café that dot the streets. The neo-classical Raj Niwas is towards the north of the park. 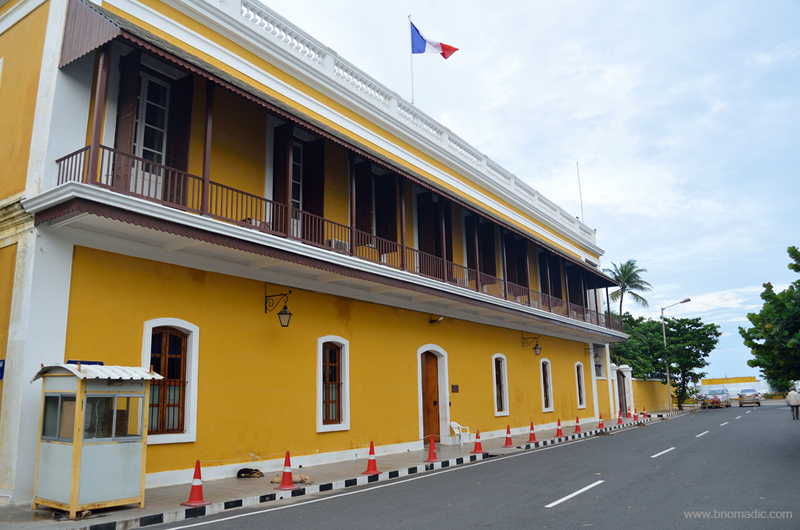 Next door, on the other side of Rue Louis, is the Puducherry Museum where the management grants me the permission to make photos inside but without any use of flash. 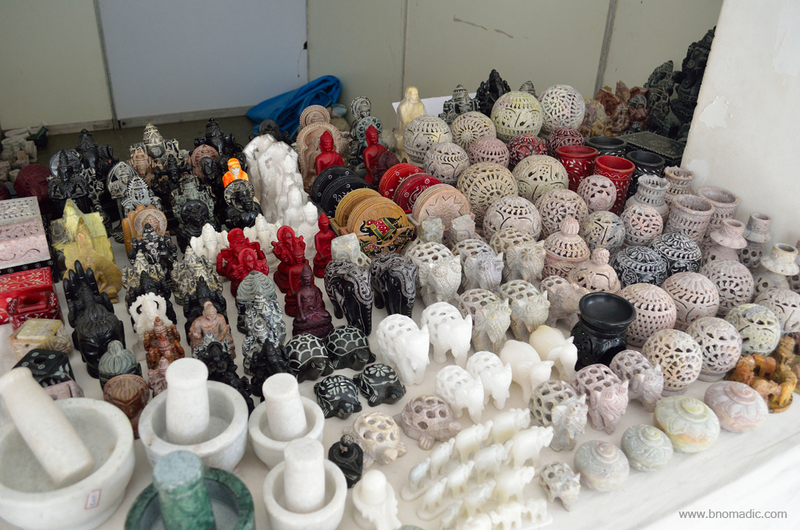 Apart from the findings of Arikamedu, the museum displays stone and metal sculptures from the Cholas and later periods. 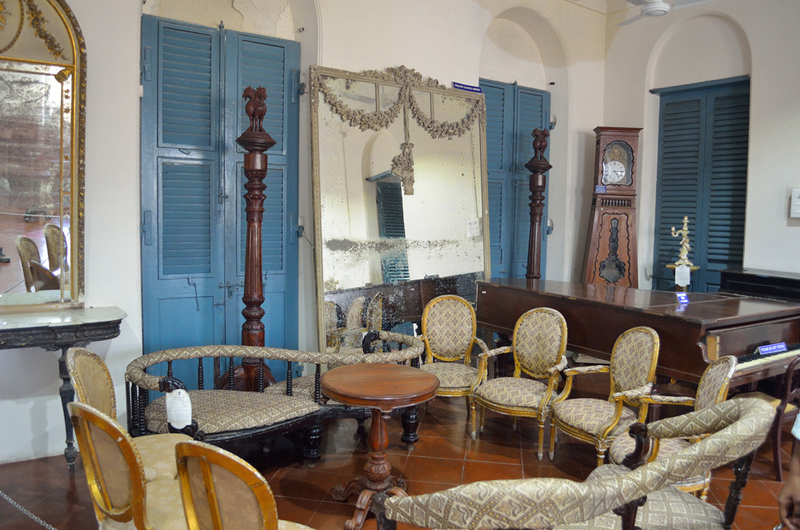 The upper storeys are stocked with furniture, paintings and other items assembled from various mansions in Puducherry. Many of such mansions and villas have now been converted into research institutions, department offices or hotels and guesthouses, etc. 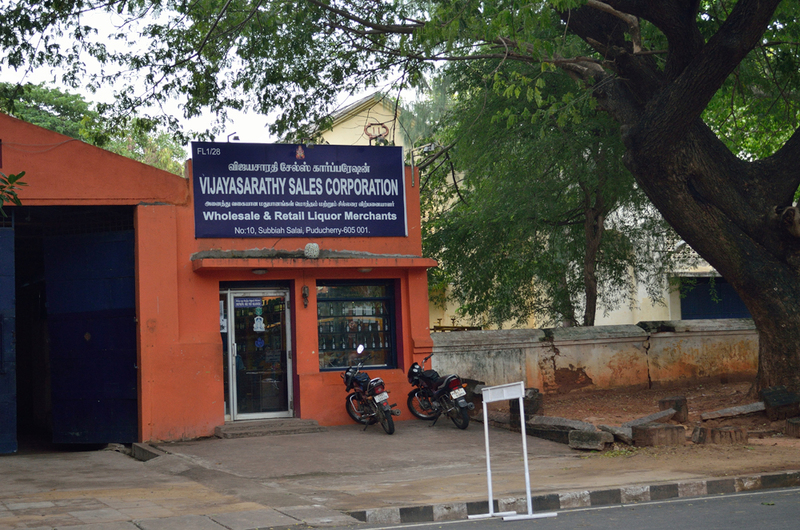 Many, particularly the ones who are spiritually inclined associate Puducherry with Sri Aurobindo Ashram. 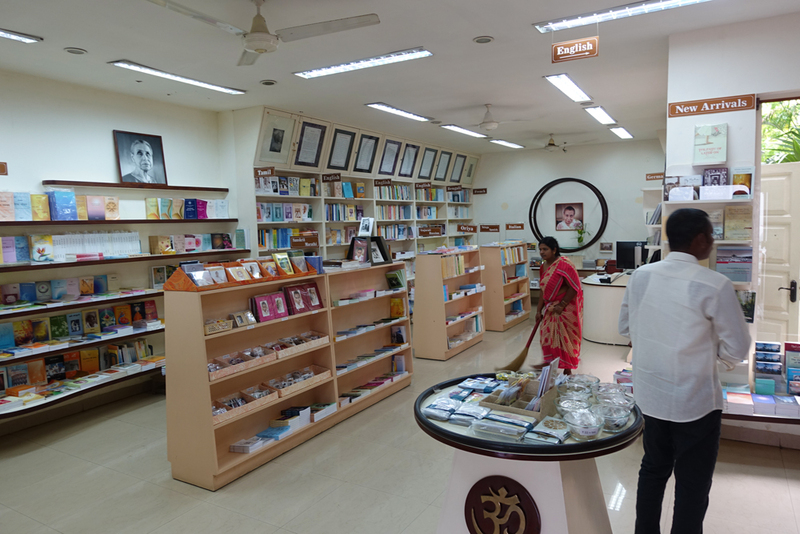 It was here the nationalist Aurobindo did his integral Yoga as he prepared his literary and philosophical works. Preaching the widely accepted spiritual path, he started an Ashram here; which was subsequently joined by a French mystic, Madame Mirra Richard, later known as the Mother. Today, hundreds of devotees daily throng the ashram and the Samadhi that encloses the bodies of Sri Aurobindo and the Mother. 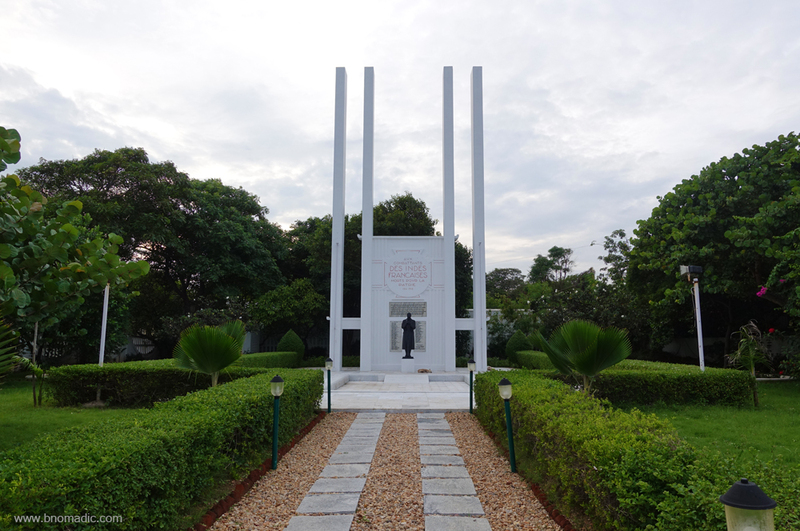 The Aurobindo Ashram is inside the town but the Auroville Ashram, another global spiritual-attraction that warrants a separate weekend even for a layman visitor, is located a little ahead of the town towards north. 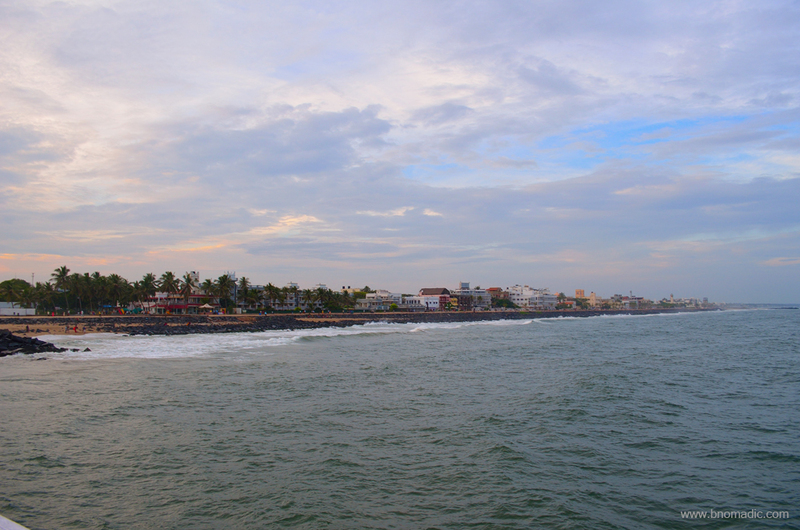 At the end of two days, from visitors’ point of view, here is my two cents: spread along a rocky seafront and offering a fabulous view from the seaside promenade, the town of Puducherry is in actuality a settlement full of history as well as culture and may not be a destination for a laid-back beach holiday. 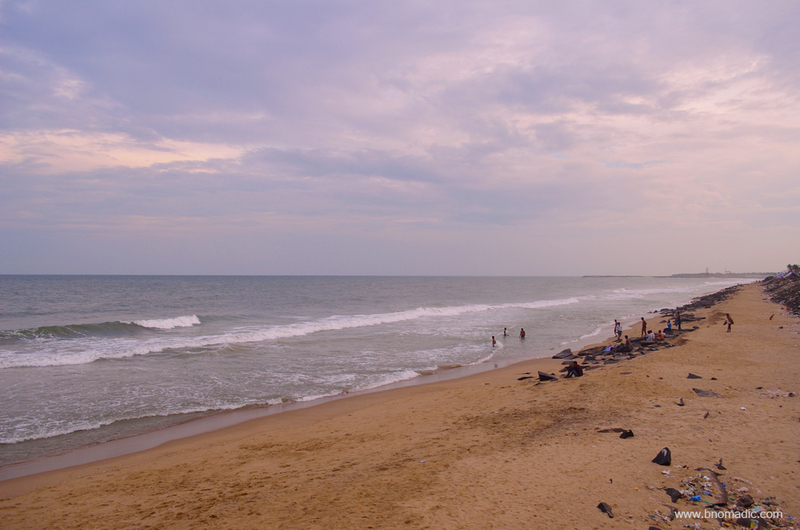 Most of the sandy beaches and beach resorts are located just outside the city. 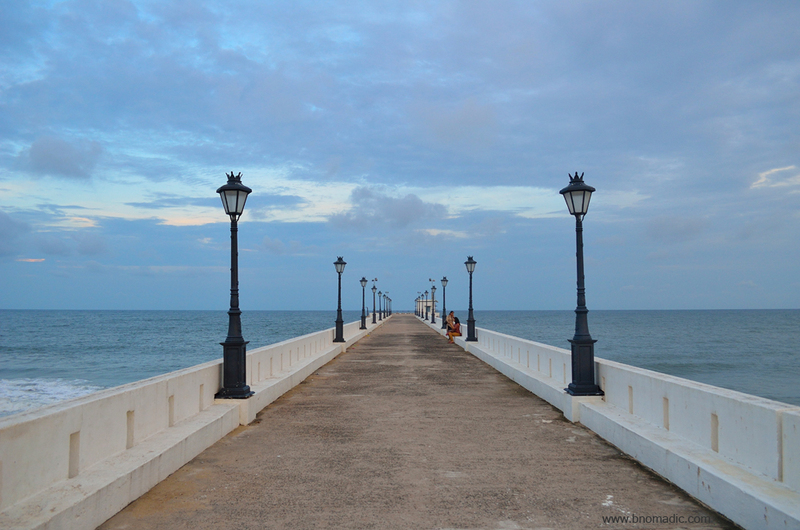 The best way to explore Pondy is on foot. 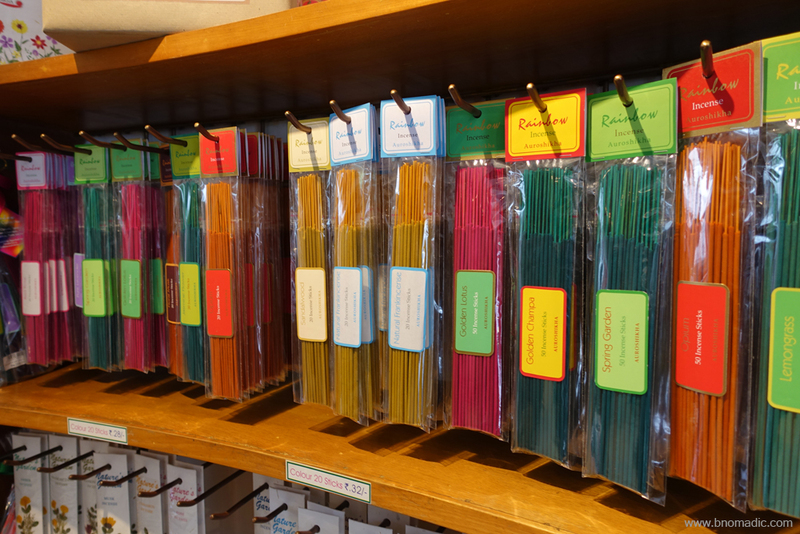 For those who are foodie at heart, the town fits the bill. One can feast on freshly-baked French baguettes or croissants for breakfast; enjoy the variety of seafood or traditional South Indian meal or an assortment of Continental, Mediterranean or Middle-East cuisines. Thanks to the European influence, wine, beer and other beverages are served in most restaurants. 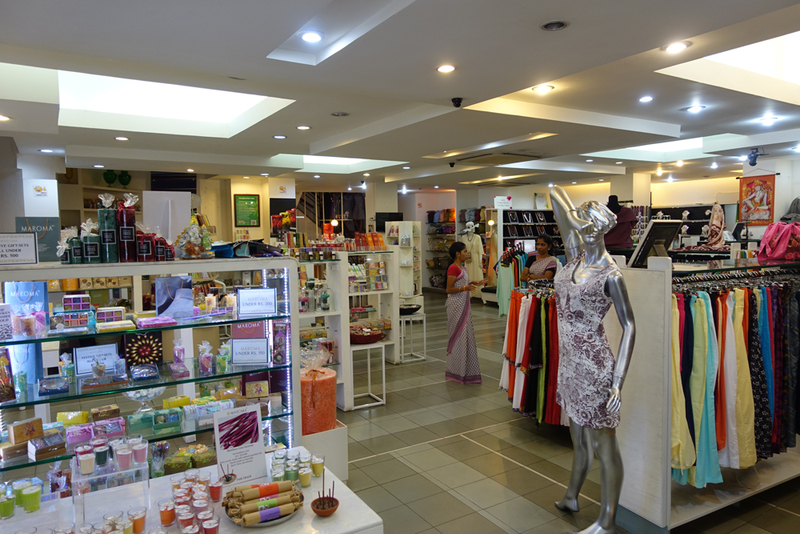 Not only just that but Puducherry has emerged to be a chic shopping haven as well. 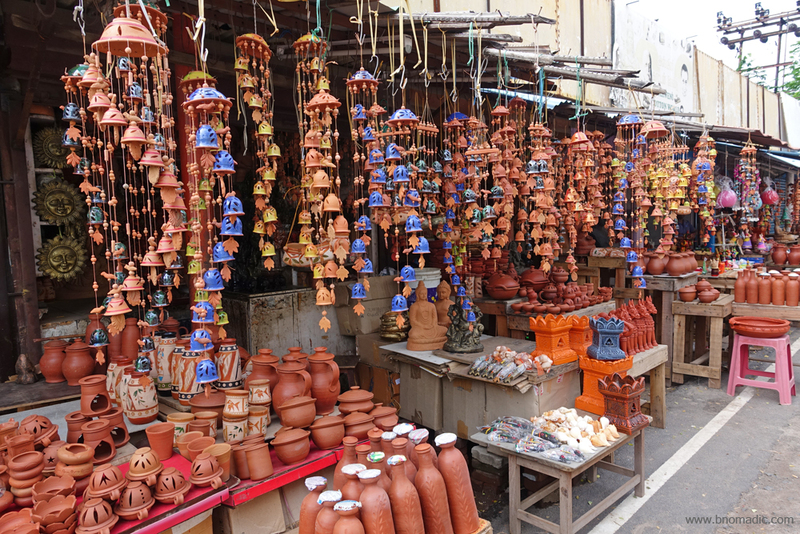 Be it art and craft, or artistic pottery, jewellery, handmade soaps, perfumeries, incense items, exquisite linens, cotton or leather goods, the town has just about everything including exhibitions, shacks, exclusive stores like Hidesign that originated from here and boutique stores like Casablanca, Kalki, La Maison Rose, Auroshikha, Amethyst and Pothis to name a few. 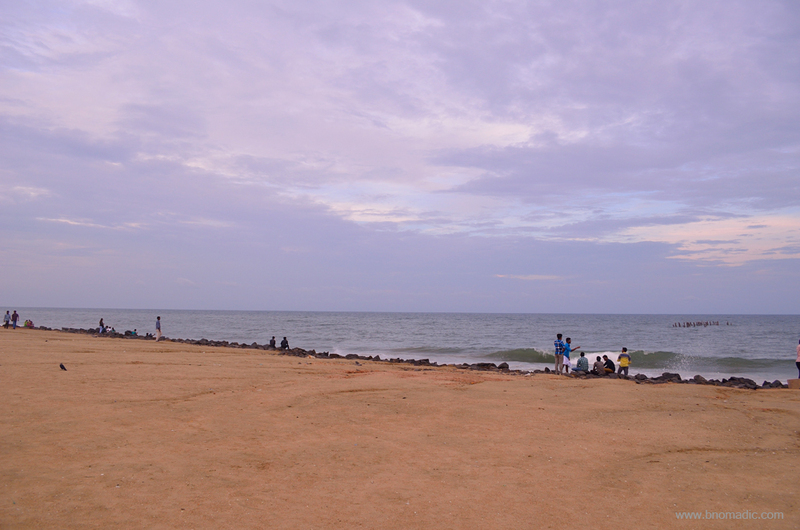 The town of Puducherry, formerly known as Pondicherry, is 170 km south of Chennai, the capital of Tamil Nadu. 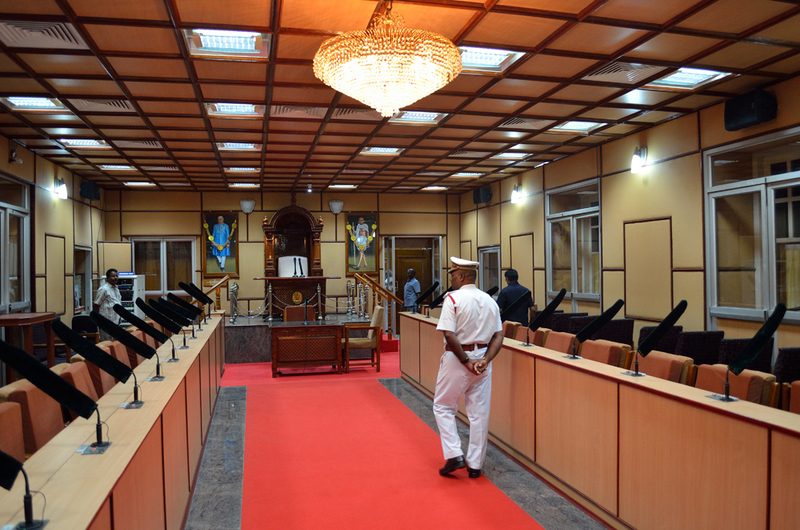 Bengaluru is 317 km from Puducherry. what a nice detailed report! Aha, change from the mountains to the sea. 🙂 Loved it. Was this your first visit down south?